When you hear the circus is in town your first thought is of the big top, right? Well I asked my two daughters what was the first thing that came to mind when I said, “The circus is coming to town.” My youngest who’s four said, “Chuck Chuck the Clown” and my oldest who’s eleven said, “A big parade of people”. This is the funny cause I’m sitting in my backyard writing this story as it’s happening… So I ask my girls what’s the first thing that comes to mind when I say, The Circus of the Wicked is coming to town? Lets listen in for their response: My youngest says, “The chicken on SNL.” OK. My oldest,”Sounds like a cool name for a car show.” No, I’m not pulling your leg, that’s what she said. 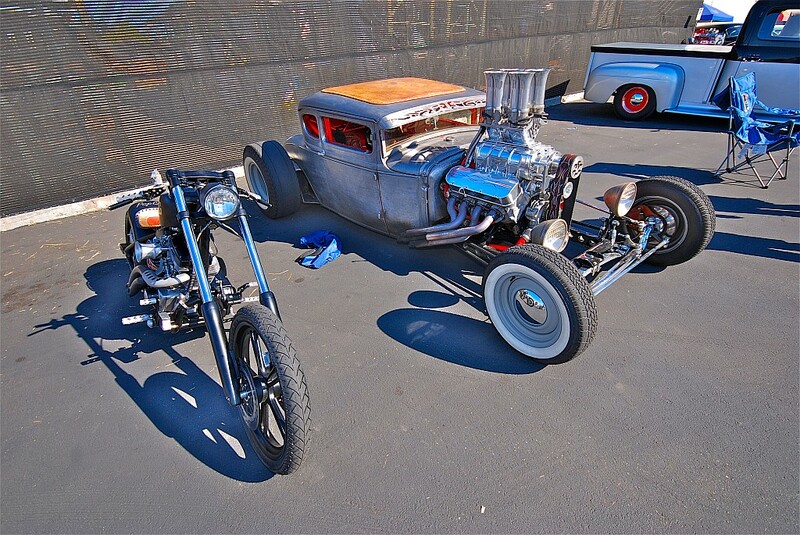 There you have it, as I lead into this feature on the Circus of the Wicked car & bike show at Holeshot Choppers in Sacramento,CA. The host car club or should I say “ringleaders” for this event were, none other than, Relentless CC. 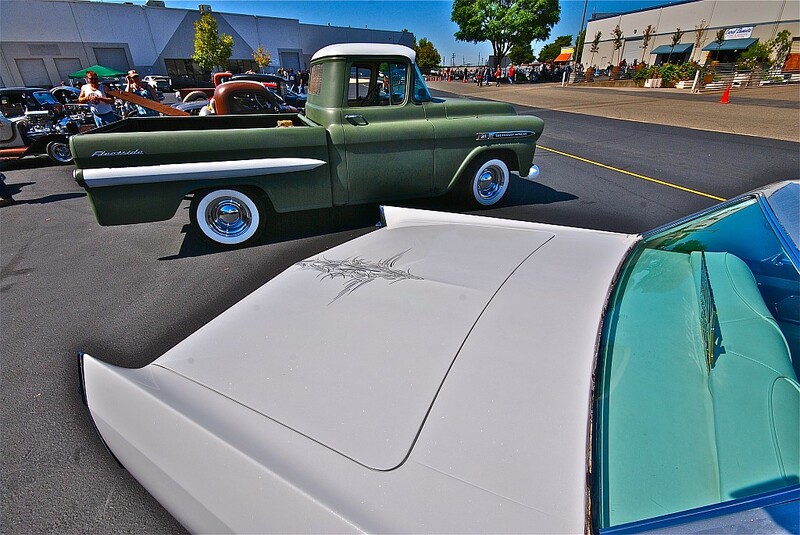 Upon my arrival to the show, I spoke with Relentless mastermind and long time rodder Jay Walding on what he thought of their 1st annual show. Jay told me, “It’s really the second show and the first was last year, but it was more of a word-of-mouth type gig with a big bike showing… Unlike this year’s show where it was more publicized with fliers and through H.A.M.B and so on.” So call it what you may, I’m sticking to the 1st annual. Getting back to the show, Jay was totally cool to pull out both rides away from the club so I could grab a couple of quick shots. Thankx bro! As the lazy Sunday woke up, more and more people were filing in to the show. In a way, it did have that circus feel with tons of stuff to appeal to the little rodders at the show as well as the older ones, too. Things like a dunk tank and face painting to mechanical bull riding. 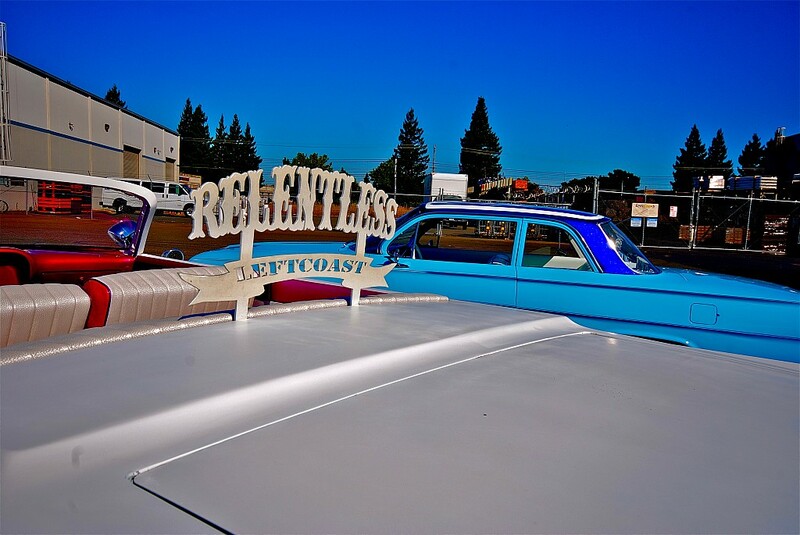 Relentless CC covered all the bases with a carny style food court with everything to Bubba’s BBQ to deep fried candy bars… yeah… you heard me right! Of course you have to wash it down with something so they had an array bevmo’s to quench any thirst. 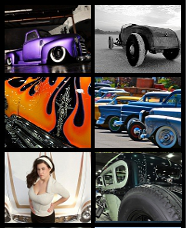 The vendors where also varied with vintage wear from Devil Dolls & Street Surfer and hot rod parts from the Speed Shack. I do have to say.. it’s been awhile since I’ve seen the type of variety that this show brought fourth. 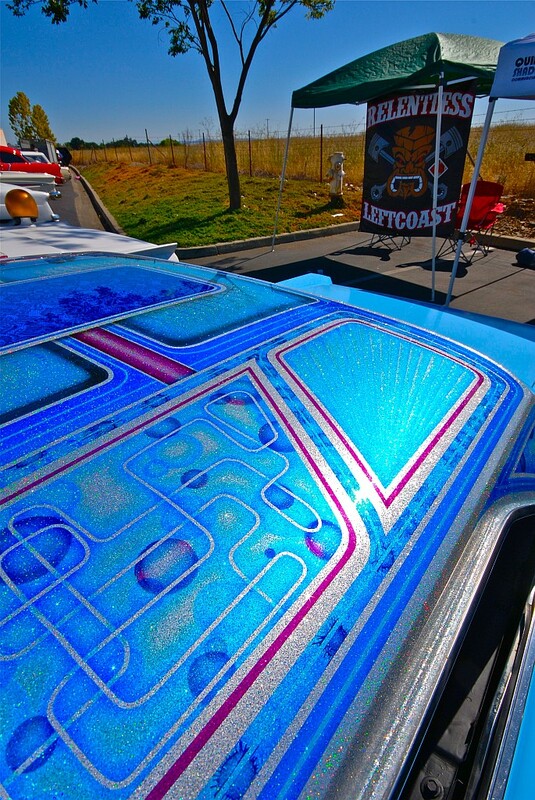 Among the many Sacramento car clubs that rolled in, like the Grinders CC, RiffRaff CC and The Alley Cats. There was also clubs like the Throttle Queens and the Road Lords CC spotting up. 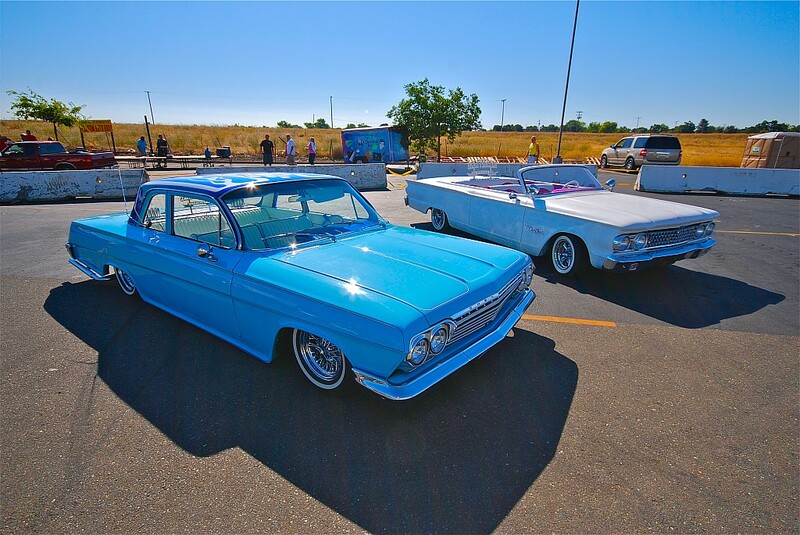 I also noticed there where a few lowrider clubs as well, such as the Devotion CC that were well represented with some serious rides (which brought back a lot of fond memories from the earlier 90’s). What kind of circus would it be if you didn’t have elephants doing tricks. Well exit elephants and enter street bikes. These cats where doing things that quite frankly were making my you know what pucker. Just wicked. 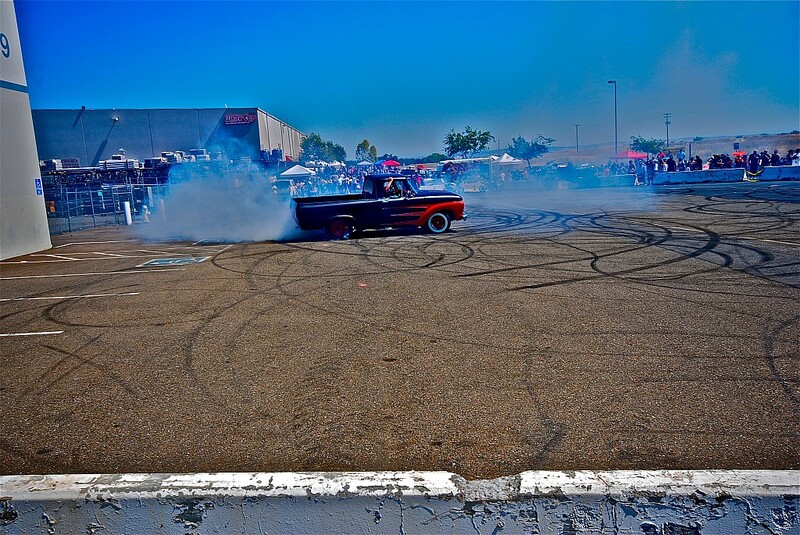 Next up was the Burnout exhibition which Alley Cats Jacob Bryant and his rubber spitting 61′ Ford truck that just let loose a fury on the spectators. With one arm out of the window and one on the wheel with a grin only the devil himself could conjure up. I think the only thing that stopped Jacob was he blew a belt. Beyond wicked. Huh, I see a pattern forming here. What could possibly top that? A shoot with super bad model Danika Darling. That’s what could! One thing I would like to say too, is that I, N/Koljian of the MyRideisMe.com posse was the first to shoot Ms. Danika with her car. Ha! Well, that’s what she told me. Nothing like a little pressure huh. Ms.Danika made it very easy on me to shoot and is a absolute pleasure to work with. 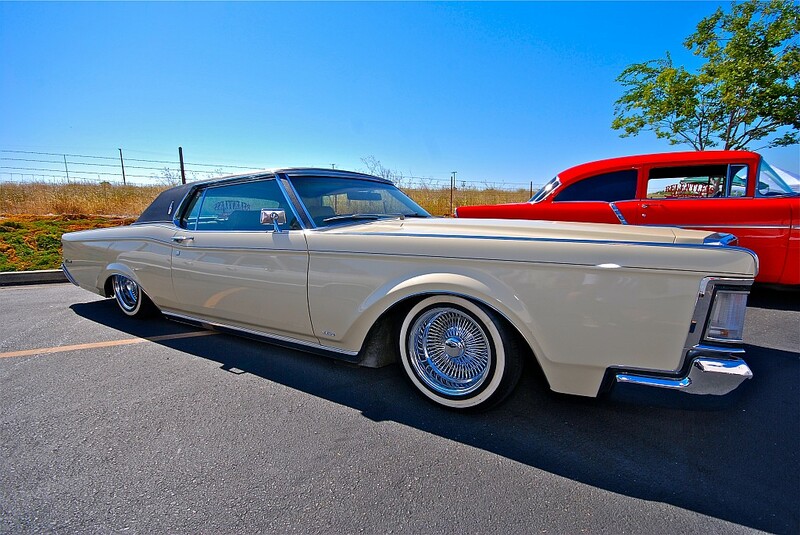 As always, my best pictures from the car show are in the MyRideisMe.com custom car picture gallery. Pick your favorite and let us know. Hey man! 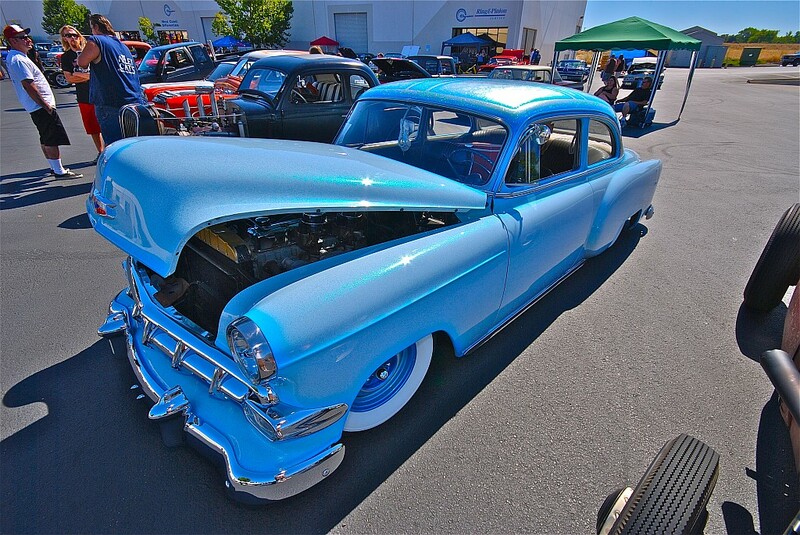 Let Jay know I love what he did with the BelAir. It looks amazing!!! I lost his email, he bought the 62 off me and a better owner than Jay that car has never known!!! Tell him Im cancer free now too!